DO TO THE GOVERNMENT SHUTDOWN, THIS FIELD TRIP IS CANCELLED. On January 12th the club field trip will be to Blackwater National Wildlife Refuge, which is home to an incredible amount of plant and animal diversity in its three major habitats – forest, marsh and shallow water. The refuge contains one-third of Maryland’s tidal wetlands, which makes it an ecologically important area within the state. These wetlands also provide storm protection to lower Dorchester County, including the town of Cambridge. Blackwater NWR is recognized as a “Wetland of International Importance” by the Ramsar Convention and was named a priority wetland in the North American Waterfowl Management Plan. In addition, Blackwater NWR has been designated as an Internationally Important Bird Area. The best time to view waterfowl is November through February. In addition to its extensive list of birds, Blackwater supports a variety of mammals, including bats, raccoons, rabbits, otters, opossums, skunks, and red fox. The marshes are home to large numbers of muskrats. 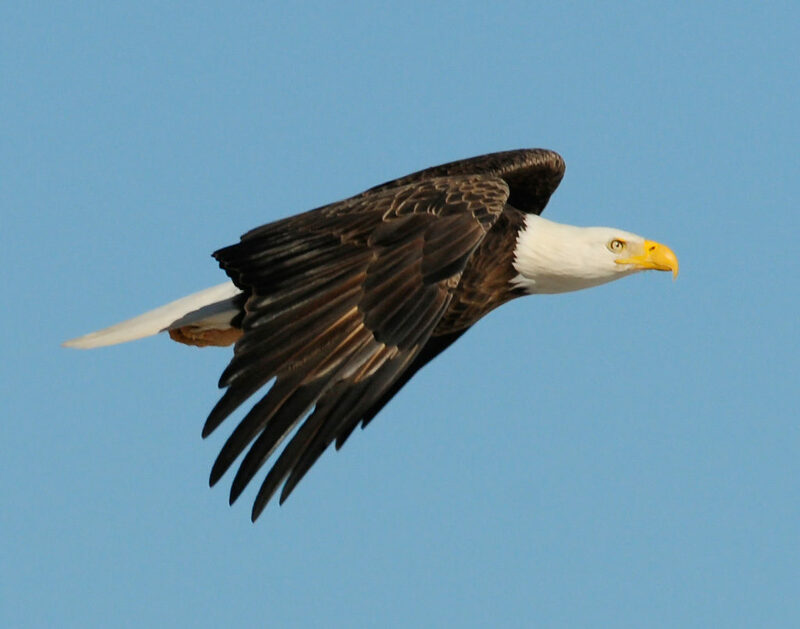 Sightings of eagles are fairly common as Blackwater is the center of the greatest nesting density of bald eagles in the eastern United States north of Florida. Entrance fees are $3.00/car. The visitor center is open 9 Am to 5 pm. The wildlife drive opens dawn to dusk every day. The drive to the refuge takes approximately 1.5 hours. The drive to the refuge takes approximately 1.5 hours. The closest place to get food and gas is in Cambridge. Click here for directions.